He began his acting career with Rakeysh Omprakash Mehra’s epic Mirzya and his performance in the double role impressed audiences and critics. 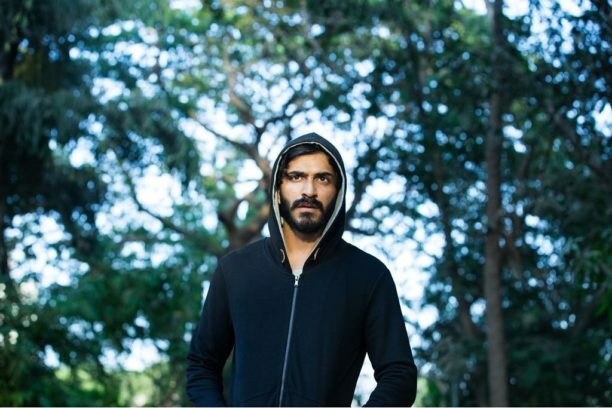 Now, Harshvardhan Kapoor is taking on another challenging role in Vikramaditya Motwane’s Bhavesh Joshi Superhero. 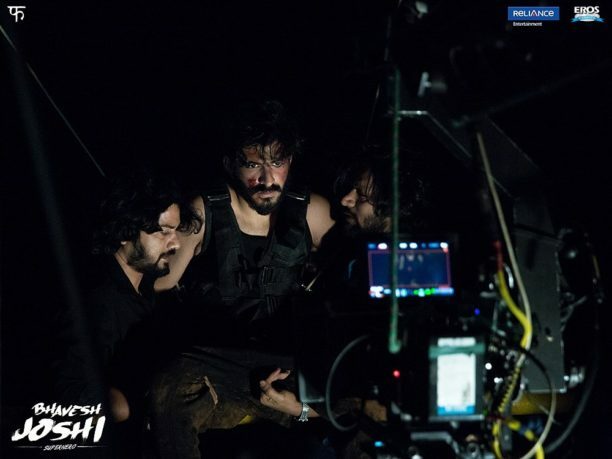 Though titled Bhavesh Joshi Superhero, the film is not strictly a superhero movie, it is more of a vigilante drama about righting wrongs and finding the hero within yourself. The movie traces the journey of an ordinary young man’s personal crusade against the system. While doing so, he discovers that he’s destined for something much bigger. In a wonderful and insightful interview, Harshvardhan talks about Bhavesh Joshi Superhero including working with director Vikramaditya Motwane, what was so challenging about this role and what he thinks is the coolest thing about this film. What would you say draws you to play your characters? I think it is just how I feel about the writing. I feel like if the writing is really strong and inspires you then you start dreaming about it. You can’t stop thinking about it. You feel like ‘Oh My God I have to do this movie’. Then you start pushing yourself beyond what you thought was possible for you to do. You know, I feel like I have to be that excited to go do a film. The script was so good and obviously it was about the director [Vikramaditya Motwane] that is making this movie. If you or any of your readers have seen any of his previous movies, you know how unique he is, how progressive he is. His vision, combined with this particular piece of writing, I knew it was something that I had to be a part of. How would you describe the film and your character from your perspective? See, I know the film is called Bhavesh Joshi Superhero, but where the idea kind of it comes from is that there is a superhero in all of us and the choices that we make define us. This isn’t one of those movies with tons of CGI and larger than life people and people flying all over the place. This is a vigilante film that is extremely grounded in reality. This takes the idea of what if there was a guy in Bombay that got so fed up with the way things are that he decided to do something and take things into his own hand. What would that be like? I don’t think that anyone has really done that before. That is the idea that really excited Vikram [Motwane] and really excited me. You know, we live in a corrupt society so I see the film in a nutshell as a film about an ordinary guy that finds himself in extraordinary circumstances and then decides to do something about it when most people would just accept the way that things are. This is both hero and vigilante movie, did you have a hard time walking that fine line as a character, because it could go one way or another? I just feel like when the writing is so clear and when the beats of the character and the arc of the character are so clear through this journey of the film, then you just approach it scene by scene. Because essentially this is a story about a guy that for the most part there is nothing really heroic about him until later in the film. He is an extremely ordinary guy that again, finds himself in quite an incredible situation. He has his back up against the wall. I think he is driven by emotion and he is driven by anger. I feel like we have all been there at some point in our lives. We kind of suppress it and then we distract ourselves and we get busy and life takes over. So, this is about a guy who finds himself in that situation and he says no way, I am not going to cop out, I am going to do something about it. So how did you become and find this character and go through this arc that he experiences? We did a couple of things. Initially, we stared doing rehearsals with the rest of the cast. I am basically best friends in this film with two other guys. So what I did was I started spending a lot of time with those two guys. Then at some point I actually moved out of my house and started living with the guy who plays my roommate in the film! We actually lived together in a rented apartment that the production rented for us for about 2 months. We became very, very close. I think that really helped with the just like the physical bonding and real friendship, you know. So, when you see our scenes now I hope to the viewer it will end of feeling like we have know each other for a long time as opposed to two actors just coming on set and doing a job. I did a lot of a lot of action rehearsals, learned the hand-to-hand combat, learned how to fight with the escrima sticks and learned how to fight behind the mask. So, it was the physical training combined with all the emotional preparation. You know, sometimes you get films that are really heavy on action but don’t really have too much for performance and sometimes you get films that are just completely character driven, and all about performance and there is no action or you don’t have to really look a specific way. I think this is kind of a unique film that is a combination of the two. I knew what I was getting into, then I just basically had to take it one step at a time. You know, there were a lot of times were I felt…. ‘What am I doing? How am I going to pull this off?’ But our director is so good, he is just so, so good that you know that whatever you give, if you give your best, he is kind of going to take it and present you in a real good way. The process has been great and I really enjoyed working with him! Have you seen any of his films? Yes, Lootera. So beautiful. I honestly loved it! He has such a different eye! Completely! Completely! It is just like the way that he sees things, even when he takes a photo with his iPhone, you know I am sitting in the exact same place and it is like what are you doing that is different. (Smiles) He is just gifted, I feel. Also he had made three movies out of which Udaan and Trapped are very small Indie films. Great films but Indie films. Lootera was the one big budget art house film. I think this film [Bhavesh Joshi] is kind of a departure. This is his most ambitious film in terms of what he is trying to achieve, in terms of scale and emotion. The thing is he brings an independent spirit to his vision no matter how big or small the film. When I see the film it is exactly what we wanted to make. I really like the film and I hope the people also like it! You have said it was a very challenging role, what was the hardest part for you and made the days difficult sometimes? The thing about this film is that this character goes through such a massive journey. I can’t release too much about the journey because it will be giving away the plot, but what I can tell you is that there are extremely light moments, which are like comic-villain conversational, then there are romantic moments, which are very real and sincere, there are dramatic emotional moments that are very, very hard-hitting, there is music, there are very, very elaborate action sequences. Now, I was doing all of this in the very same film in a very real way. So, it has all the elements, but it is not a typical Bollywood film. So for me, I think, this is a film where you will get to see a really wide range of emotions. 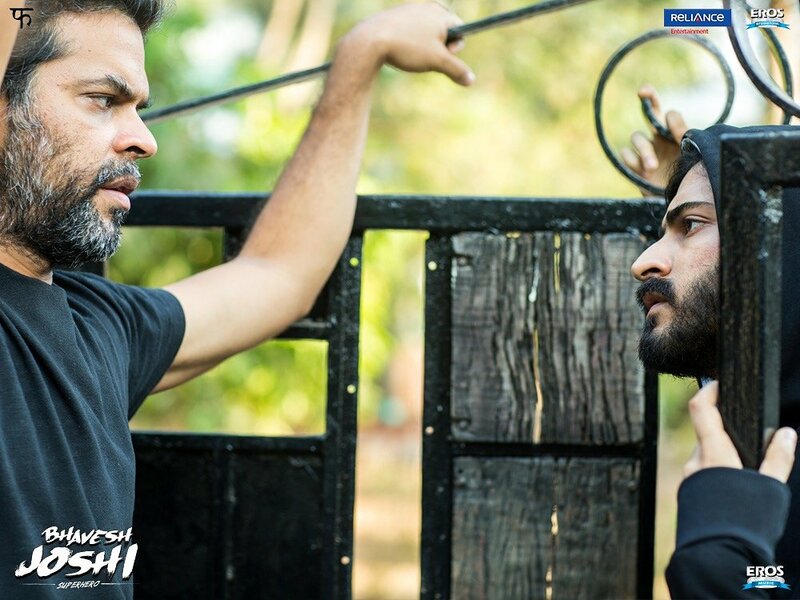 What sometimes made the days hard is obviously you are on a tight budget and a tight schedule so you are not shooting one scene a day – sometimes you are shooting 2-3 scenes a day. So you are shooting a super comedic scene, then suddenly you are shooting an emotional breakdown and then at night you are shooting an action scene. By the time you come you feel like you are bi-polar! (Laughs) Yes or tri-polar! So you are saddling so many emotions and worlds and then trying to kind of keep it consistent – that was the crazy thing about it. We made this film on quite a tight budget for how ambitious it is. I think pressure kind of improved me as an actor a lot. Expanding on that…How did this experience of shooting Bhavesh Joshi Superhero help you as an actor? It just opened me up! It improved me a lot! Because sometimes when you got your back against the wall is when you push hardest. You learn new things about yourself in difficult situations. I am kind of more ready to take things more further after this. The first two movies I have done have really, really helped me tremendously improve and grow a lot. You really didn’t take it easy on your first two movies did you? No, I don’t know why! I think I like feeling pain for sure! (Laughs) I really tortured myself with my first two choices. 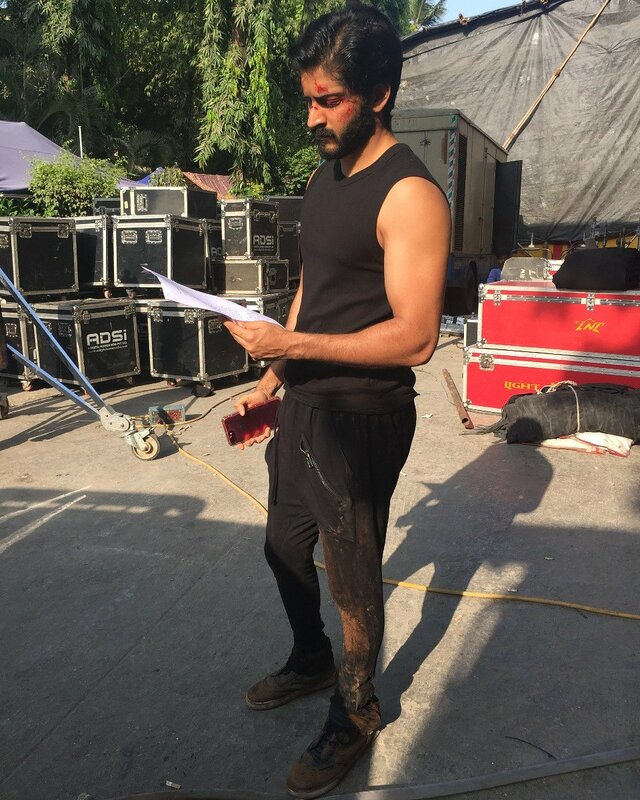 Has your passion for acting gotten even stronger through Mirzya and then now Bhavesh Joshi Superhero? Yes, I think it has. You know though, I think every actor is different. You know I meet people, actors, who just panic when they are not working. They are like, ‘Oh My God – I am not on set’. I don’t feel like that. I really have to be motivated enough and inspired enough to just go crazy about something because for me there is just no point in doing it. You know what I mean? I don’t really see it as a job. I kind of see it as a passion! If I wanted to do a job I could do anything else. You have to be crazy driven, it is like when a painter decides to make a painting he does not paint every day from 9 to 5, he waits to be inspired. Or a musician or composer… it is the same for that matter. I kind of see it the same way. My inspiration comes from my directors and the writing. I have been lucky enough to work with the two directors of my first films that I have hero-worshipped growing up. When they ask for something I can’t say no. I don’t know how to say no to those guys because they are so amazing. They are incredible. They are the best. And you know whether the film is going to come together or not completely. You are going to have moments on-screen that you are just not going to be able to forget! Their vision is so unique. That is what drives me. What I look for in my films is that I want to always do films that are different and haven’t really attempted before. That is what gets me going. What to you is the coolest or best thing about Bhavesh Joshi Superhero? I think the coolest thing about this film is that this is a vision that is so unique to Vikramaditya Motwane. This is a film that is in his head and he has created a world that is so specific and a world that is so unique and so real. I really think you have quite seen anything like this. This is a story he has lived with for the past 5 years. This is a film he has always wanted to make. This is a film we tried really hard to get off the ground for a really long time. I think he has given his all. For me personally I am not a really big fan of superhero films. Like I don’t really like the big Marvel films and stuff because I just feel that they are over the top and so larger than life that I kind of disconnect from them immediately. The only two films I really liked are the first two films from the Christopher Nolan Batman series. Although Bruce Wayne is an extremely financially privileged character and there is the whole story about his parents passing away. It is still closer to reality. So what is really unique about this film and I think what makes it different is how real it actually feels! When you see it, hopefully you will feel the same way that I do, is it is just an ordinary guy and you feel like he almost has no other choice. Also, this is set in Bombay, the same Bombay I see and feel and experience every day! Which is cool and is something that people don’t really think about but that is something we have really explored that! Next I am doing the Abhinav Bindra biopic. He is the only Indian to win Olympic Gold. He won the gold in the Beijing Olympics in the 10 metre Air Rifle event. It is based on his book, A Shot at History: My Obsessive Journey to Olympic Gold. It again is the reason that I was so driven to do that film. I actually signed the film in October right after Mirzya came out and we have spent a year and a half re-writing the script, getting financing for the film because again it is quite unconventional. It will be a 2 – 2 and half hour song-less biopic about an Olympic air rifle shooter. So those films are very difficult to get off the ground especially here. Initially when I came on board the script was quite different and I really liked the idea of it, but I didn’t really love the script. So, I said okay I will definitely do this movie but if we promise to all go back and read the book and decide what to do with the script. So that has kind of taken a year and a half. It is essentially a father-son story. His father had a very important role to play in his success and his life. So my father (Anil Kapoor) is actually playing my father in the film! The thing about the Bindra biopic is that he is a shooter right? Shooting is an extremely psychological sport. It is just trying to be still as you possible can. As disconnected as you possibly can and only solely focus on that target. So the idea of the film is to kind of take you inside the mind of an obsessive athlete. Sometimes it is not a very nice place to be and I think that is what intrigued me so much about the film. I am really excited to make it, give people an Indian sport biopic that you haven’t really seen like before. It starts in June or July and I am really looking forward to it. 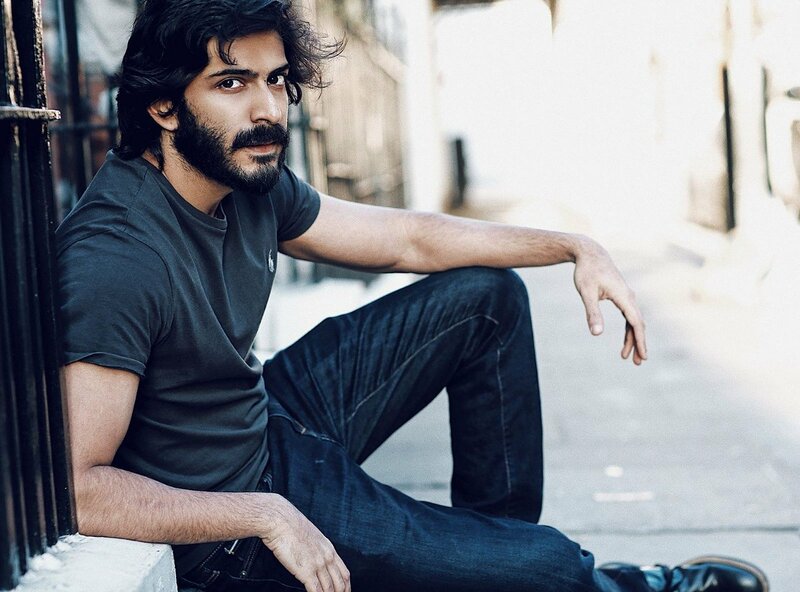 I would like to thank Harshvardhan for another wonderful conversation about his movies. He is one of my favorite actors to interview, because he gives so much in his answers. I wish him all the best and can’t wait to see him on the big screen! 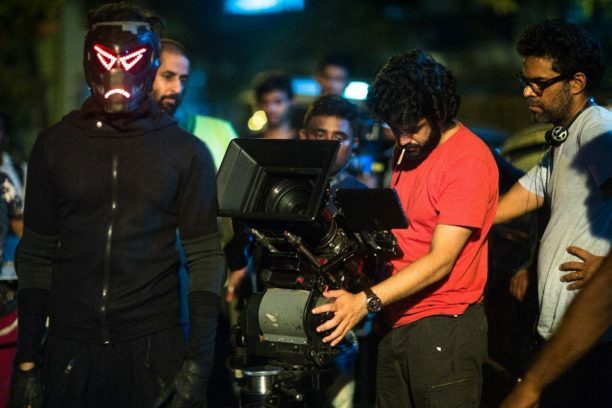 Bhavesh Joshi Superhero is in theaters on June 1st! Do not miss it! To get you ready here is the trailer!